The Perfume Society has rapidly become a hub of fragrance information and trend insights, with our fingers on the pulse of all that’s happening in the scented world. Editorial content for on-line/print, blog posts etc. With a hot-line to the most talented creatives in perfume-writing, illustration and photography and with wide experience putting together our award-winning magazine The Scented Letter, The Perfume Society has established a new service for fragrance brands, retailers, manufacturers and industry bodies wishing to put together communications for the industry, or consumer-facing. We offer all VIP Subscribers to The Perfume Society the opportunity to set up their own local Perfume Group. These now number 60, around the UK. 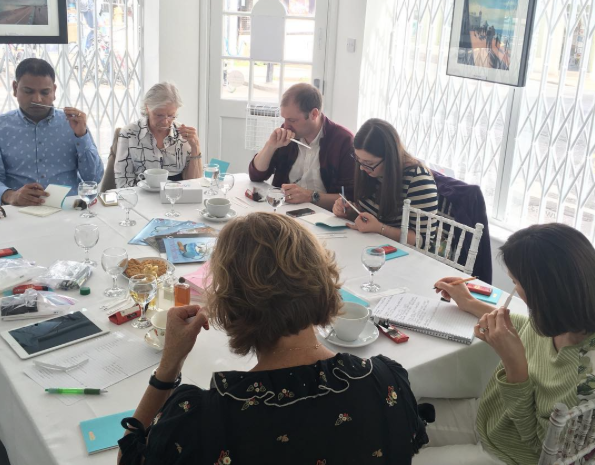 They are assigned regular ‘activities’ – which have included market research into proposed fragrance launches, feeding back their opinions and impressions. Whatever you’d like to research, we’re able to put together panels or groups whose opinions can be gathered either remotely (via e-mail/ Survey Monkey forms), or face-to-face. We’re happy to workshop ideas to help you gain insights on fragrances, scented products, home fragrance – or to gain a new perspective on your brand, via our groups. Please contact info@perfumesociety.org for more information. Increasing numbers of brands are signing up their consultants as VIP Subscribers as a way of engaging their teams with fragrance in an entertaining, engaging and informative way. Via The Scented Letter, anyone working in the scented world can gain an overview of everything happening in fragrance, including launches across major and independent brands. 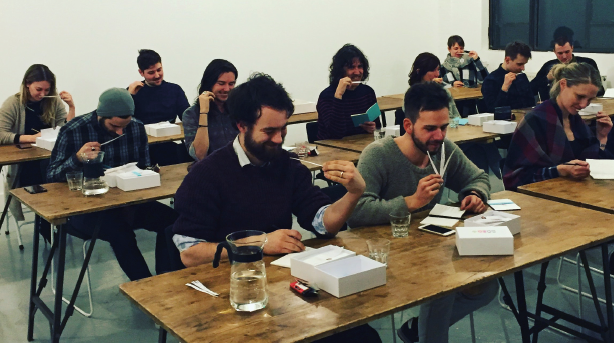 We are able to organise special ‘How to Improve Your Sense of Smell’ sessions for teams, signed copied of The Perfume Bible – many ways to ignite (or reignite) a passion among your team. Lasting around 90 minutes (shorter or longer sessions can be arranged), we will travel to your choice of location and share a fascinating (and highly effective) exercise designed to improve appreciation of the scented world. Clients have included a coffee company, women’s networking organisations and perfume brands.